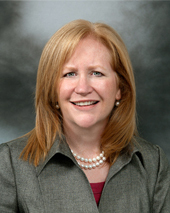 Margaret Sherry Lurio’s practice area is civil litigation. Her field of expertise includes commercial litigation, personal injury and employment law. Ms. Lurio has extensive experience in the areas of professional liability, corporate and partnership disputes, securities, products liability, and general negligence. She has successfully tried complex matters in state and federal courts, as well as in commercial arbitration forums. Following graduation from law school, Ms. Lurio served as a law clerk for the Honorable Stephen J. McEwen, Jr. of the Superior Court of Pennsylvania. She is a member of the Bars of the Commonwealth of Pennsylvania and State of New Jersey and is admitted to practice in the United States District Court for the Eastern District of Pennsylvania, the United States District Court for the Middle District of Pennsylvania, United States District Court for New Jersey, and the Third Circuit Court of Appeals. She is a member of the Pennsylvania Bar Association, Philadelphia Bar Association, Philadelphia Trial Lawyers Association and Pennsylvania Association for Justice. Margaret has been voted a Pennsylvania Super Lawyer every year since 2011. She is rated AV® Preeminent™ (5.0 out of 5) by Martindale Hubbell. This peer evaluation establishes ratings on a lawyer's legal ability and ethical standards.1 She has also been selected for inclusion in the Martindale-Hubbell® Bar Register of Preeminent Women Lawyers™, which is a recognition for women attorneys who have received the highest possible rating in both legal ability and ethical standards from their peers. Margaret serves on the Board of Directors of Philadelphia Futures, a nonprofit organization that provides Philadelphia’s low-income students with the necessary resources for admission to and success in college. She has also been a mentor for Philadelphia school district students for more than twenty years through Philadelphia Futures. Margaret is a volunteer for Philadelphia VIP, a program that promotes equal justice for the poor by providing civil legal services not otherwise available. Margaret attended Boston College on an athletic scholarship and co-captained the field hockey team for three years.